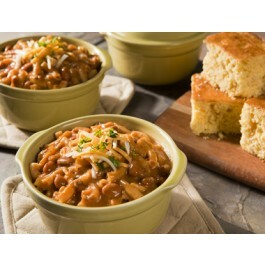 Chili mac with beef is a great tasting, long lasting addition to any food storage system. This is an especially smart choice for families with younger children, because the familiar look and taste of chili mac with beef will help ensure they are eating enough food to stay healthy and strong, no matter how long the situation lasts. Each package contains two 10 ounce servings, which is perfect for a side dish, or even a main course. If you’re looking for a great tasting addition to your food storage program, you’ll want to check out chili mac with beef from Wise Foods. Specially packed to last for years on the shelf, this great tasting dish will keep every full and happy, no matter what situation you’re in. Preparation is fast and easy, which makes it perfect for times when you’re in a hurry, or any time you just can’t get around to cooking. Simply add in the hot water, and wait for 12 minutes, and it is ready to eat. 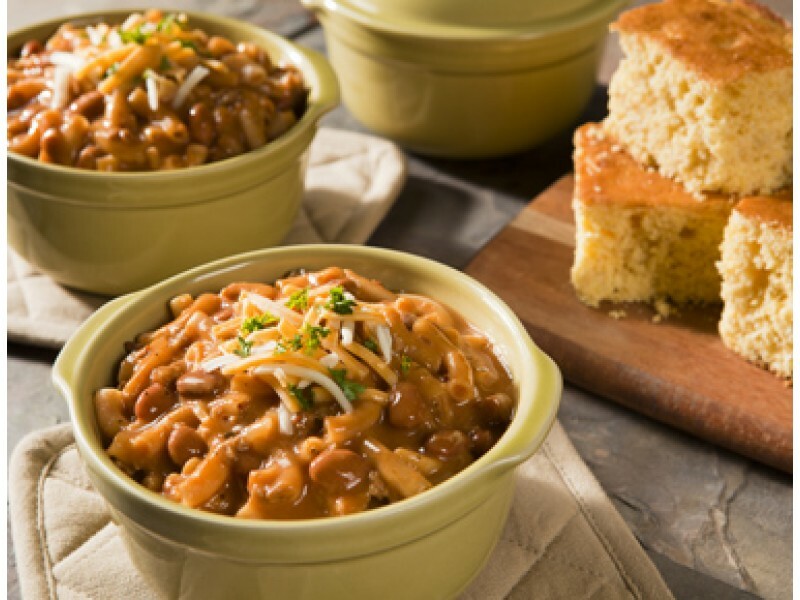 People of all ages love chili mac with beef, which makes this a very popular option. Kids especially like this food, and since they are often so used to eating it, you won’t have any trouble keeping the little ones fed. Each package contains two 10 ounce servings, which is enough food for a family as a side dish, or a couple people as a full meal. No matter what situation you’re facing, it will be a relief to have this great option available. In addition to tasting great, you’ll benefit from 17 grams of protein in each serving and a variety of different vitamins and minerals. This makes the chili mac with beef from Wise Foods ideal for survival preparation, or even just a good meal when you don’t feel like cooking. 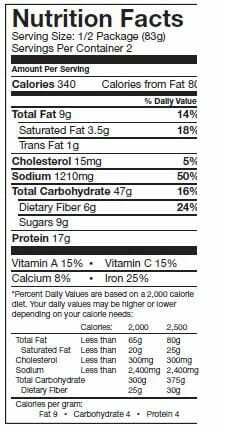 INGREDIENTS: Pasta (Durum Semolina Flour (wheat), Niacin, Ferrous Sulfate (iron), Thiamine Mononitrate, Riboavin, Folic Acid), Freeze-Dried Beef, Textured Vegetable Protein (Soy Flour, Caramel Color), Pinto Beans, Maltodextrin, Whey, Enriched Wheat Flour (Wheat Flour, Niacin, Reduced Iron, Thiamine Mononitrate, Riboavin, Enzyme, Folic Acid), Tomato Powder, Non Dairy Creamer (Partially Hydrogenated Soybean Oil, Corn Syrup Solids, Sodium Caseinate (a milk derivative), Mono and Diglycerides, Sodium Citrate, Salt, Dipotassium Phosphate, Carrageenan, Natural Flavor), Salt, Dried Onion, Sugar, Guar Gum, Yeast Extract, Soy Sauce (Hydrolyzed Soy Protein, Corn Syrup Solids, Salt), Garlic Powder, Xanthan Gum, Spices, Extractives of Paprika and Turmeric, Dextrose, Disodium Inosinate and Disodium Guanylate, Parmesan Flavor (Salt, Yeast Extract), Citric Acid. CONTAINS: MILK, SOY, WHEAT. Cook in the pouch chili macaroni with beef entree. Just add hot water and wait 12 minutes. Then it's ready to eat!